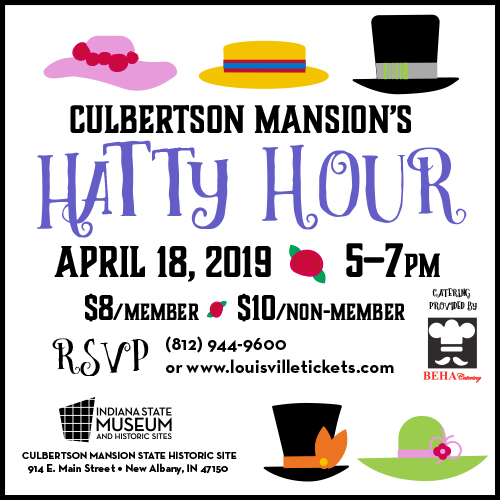 Kick off the Kentucky Derby in style at this special happy hour showcasing the Culbertson connection to the "fastest 2 minutes in sports." Get ready for the races with a stop inside Culbertson's formal parlor where you'll find a perfect topper sold by local vendors. Cash bar & light food available. Tickets are $10.00 each and can be purchased by calling (812)944-9600 or at louisvilletickets.com!